So the little green scooter is starting to show its age. It's nearing 30 years old with ~35,000km on the road: a critical mileage where a lot of parts need to be attended to. I've noticed that although my acceleration has been steady, the top speed of my scoot has decreased drastically. In previous years, I was able to get up to 95kmph, but now I'm happy to see the speedometer creep past 79kmph. A little research has shown that there are typically two culprits for this type of issue. Aside from regular engine wear, the scooter's continuously variable transmission has a few parts that require replacement to improve performance. A lot of how this nifty transmission system works can be found at this excellent forum post: "CVT Principles - How it works, how to improve it." As the weights wear and are no longer their appropriate weight, they can't push the clutch housing to its highest position, therefore preventing the belt from reaching its highest gear and reaching its top speed. The belt itself is also worn enough that it can no longer achieve this. Easy enough, replace the belt and the weights and we're all set, right? Except that the scooter is almost 30 years old. And as you can see on the Riva Riders Yahoo Group, there's a lot of discussion about the dwindling state of parts available for these great machines. The weights in the XC125 from '86 to '01 measure 18x12mm and weigh 9.5grams. 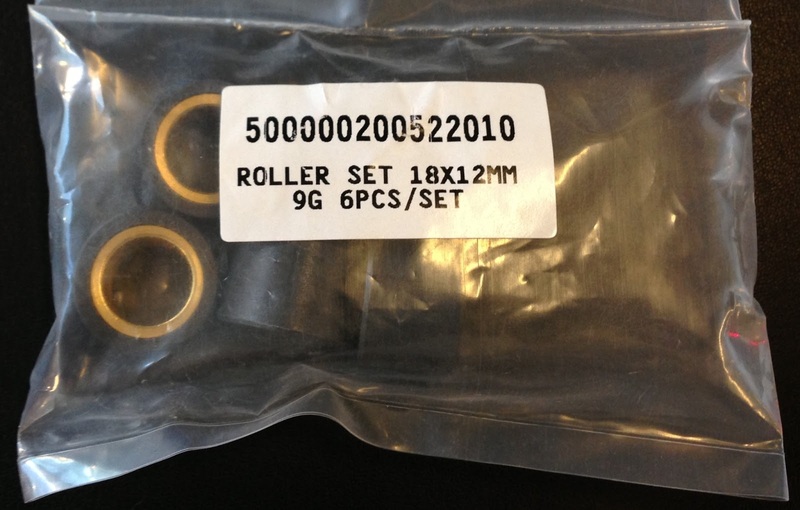 I found suitable aftermarket replacement at Chinese Motorcycle Parts Online (part RW147) where they carry 18x12mm 9gram weights. Slightly lighter weights will still sacrifice top speed for acceleration, but these will still substantially improve my top speed over the worn out weights I currently use. The weights are shipped from the UK, and I received them here in Canada within a week of ordering them. 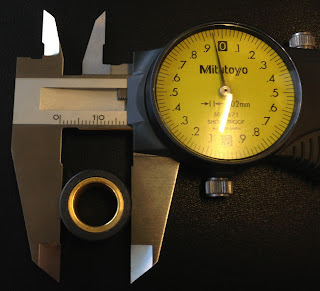 A little bit of quality control shows that the weights are manufactured quite well, and they should fit the bill nicely. 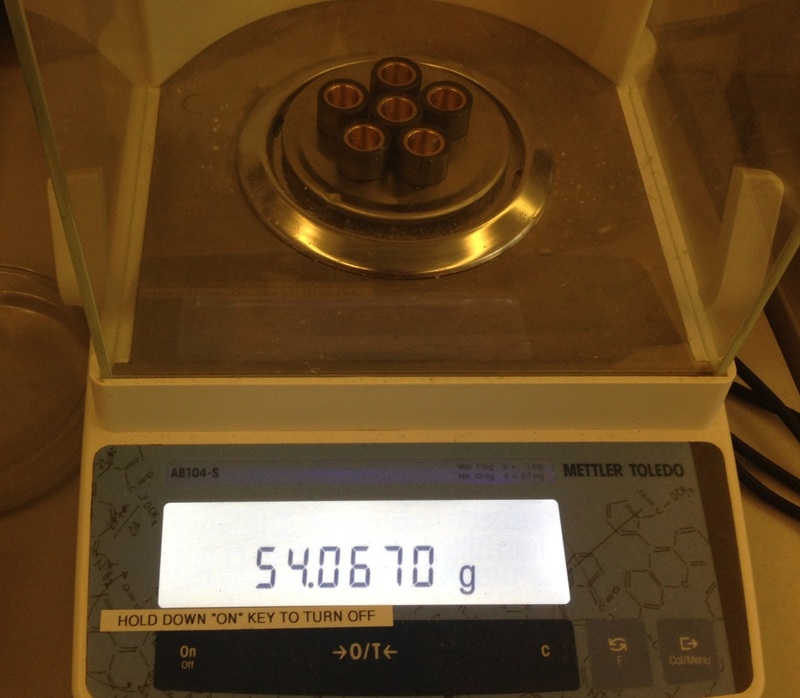 We would expect 6 x 9gram weights to weigh in at 54 grams. I used a sensitive scale and indeed: six of them weighed in at 54.0670 grams. The height tended to be slightly larger than 12mm and the width slightly less than 18mm, but we're talking 10ths of a mm here: not an issue. The belt that I need to replace is a Yamaha part number 50W-17641-00-00. The OEM belts are available, but retail for $150 here in Canada from Yamaha dealers. Too much for a simple v-belt. There is an aftermarket supply for these belts through the Gates Worldwide, a belt manufacturer. They run the Gates' Boost Belt Programme which lists part number 9802-21205 as the direct replacement for the Yamaha part number. It costs 20 Euro (~30CAD)! Gates hasn't been helpful when I called and emailed them numerous times to obtain more information and see if I can order it from them. I found a dealer in Madrid, Spain, who has been trying to sell me the belt, but requires me to wire him the money, something that costs as much as the shipping and part together. Other options are being pursued. 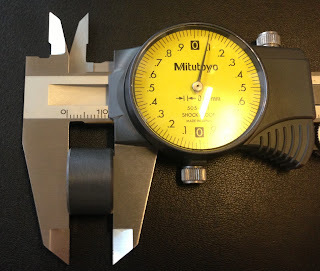 The other issue is that there are not standard belt measurements available for this part. Most of the measurements are hearsay and unconfirmed. The other issue is that aftermarket manufacturers who list sizes (length, width and angle of belt) tend to list these figures in a non-standardized way. It's not conducive to finding an appropriate replacement. The hearsay numbers for the Yamaha OEM belt floating around are that it is 940mmx19mmx9.5mm with a 28 degree V. Again, this is unconfirmed. Dayco in Australia produces belts that are of a similar size (part 8231K), but it is unknown if this actually fits, as it does not cross-reference with the Yamaha part number, but instead is listed for a SYM HD200. Dayco has been kind enough to offer sending me a sample so I may test it out. We'll see what happens. One of Yamaha's best activities was the Virago, which was presented as a 750cc, however 500cc and 920cc models were soon accessible. This bicycle was the main cruiser to leave Japan, and ended up being tremendously fruitful, so effective truth be told, that Harley Davidson was running terrified.